Half of startups fail: how can you avoid being one of them? It’s incredibly exciting to see so many people taking the leap into the world of running a startup, but those who do so should be under no illusions as to just how difficult it is. In fact, of all the companies that were launched in 2013, only 53.7% survived for their first three years. The reason why a business fails – or indeed why it succeeds – is always unique; it is defined by a range of different people, decisions and external factors. However, in the four years since Studio Graphene began working with eearly-stage firms to create blank canvas tech products, it has become clear that there are common mistakes that many budding entrepreneurs make. And if these mistakes can be avoided, a startup will give itself a far greater chance of success. It’s easy to fall into the trap of thinking that the difference between startups that flourish and those that flounder is funding. While budgets and investment will of course play a part, it is important that entrepreneurs do not become fixated on finances from the very beginning. Whether cash rich or facing financial restraints, all startups should be lean; they ought to be run on tight budgets with little room for speculative spending. When a company has access to significant capital expenditure – either their own money or the funds from an investment round – there is a higher chance of them misallocating funds, particularly if there is no strict investment plan in place. Not only will this see a startup quickly burn through its resources, but it also increases the risk of the business losing focus on its main objectives. Take a tech startup for instance: when developing its product, it is vital that the business remains completely committed to its core proposition. Entrepreneurs should not become distracted by additional features or future iterations of the product, but instead only worry about building something that does exactly what it is meant to do and ensuring it does it very well. In the first year or two, a startup’s resources should be channelled towards a single key target, which will help ensure budgets are stuck to and timelines are met. Those who try and do too many things at once will not only risk losing money but also damage the development of the product or service they are launching to market. At Studio Graphene, we recently carried out a research project with City Road Communications among startup founders to examine how the realities of launching a business matched up to the expectation they had beforehand. One of the many interesting results to come from the survey was that a fifth (20%) of all entrepreneurs said they felt a lot more isolated than they thought they would. This is often because those running startups believe that, because it is their business and their vision, they must naturally shoulder an unnecessary amount of the responsibility. In truth, there are others around them that can help. Thanks to the explosion we’ve seen in the number of new startups emerging across the UK, there are now well-developed communities for entrepreneurs to lean on for support. There are networking sessions, talks, dedicated news sources, co-working environments, accelerators, incubators, and specialist agencies that work with startups. Importantly, an entrepreneur must first recognise that he or she cannot achieve everything alone and then, in turn, look for the right people who can help. Again, budgets will be a prohibitive factor in the mind-set of some startups; there is a general perception that external agencies are always expensive andtherefore entrepreneurs can opt to carry the burden themselves. However, if the business is extremely clear, structured and focused about what it requires from a service provider, then there are specialists on-hand who can assist in the delivery of vital operations. One of the most common traits shared by successful entrepreneurs is their ability to communicate. So, while this is a skill that does not come naturally to everyone, it is something that startup leaders must ensure they are highly competent at. From hiring new staff, working with third parties or seeking investment, if an entrepreneur is unable to transfer their ideas clearly, concisely and enthusiastically to others than they will struggle to get ahead. There is norulebook about how to communicate; not everyone must stand on a stage wearing a black turtleneck to convince others that they’ve created an amazing product. But those holding the reins at a startup must be able to bring the right people on-board and they can only do this by talking about their business in the right way. Ultimately, the theme that runs throughout all these important pieces of advice is that the success of a startup will be determined as much by the way it works with others as it will by what it does internally. From the way it spends its money through to the network it works with and how its leaders communicate their ideas, a business’ growth prospects will often be shaped by its ability to effectively engage with people outside of its own team. 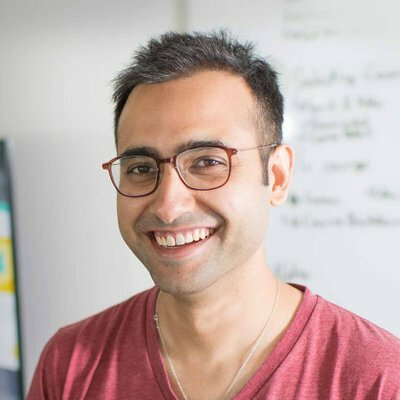 For a decade, Ritam worked as a consultant for the likes of Accenture and Bank of America Merrill Lynch before, in 2014, going on to found Studio Graphene – a firm that specialises in developing amazing blank canvas tech products. Working with many startups alongside innovation teams in more established companies, the London-based agency plans, designs and builds amazing tech products for its clients. What’s more, Ritam and the team also use their experience and expertise to help leaders grow their business from ideation, to launch and beyond.